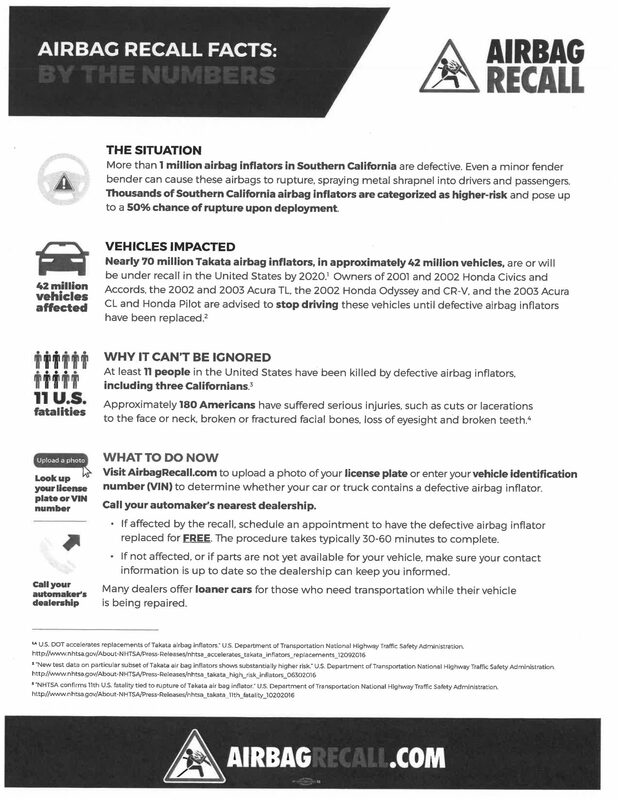 These materials have been posted in an effort to inform our Consumers, families/caregivers, vendors and staff about a potentially dangerous situation involving airbags on specified vehicles. 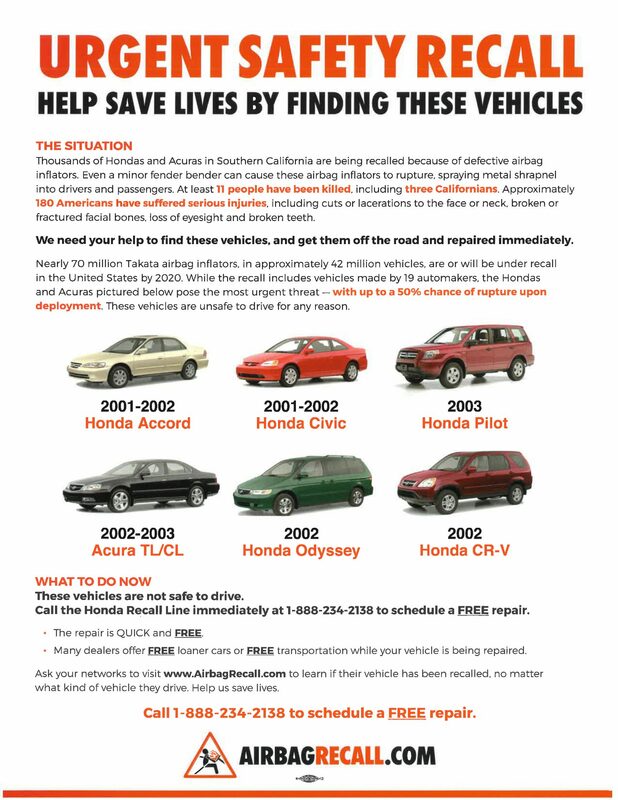 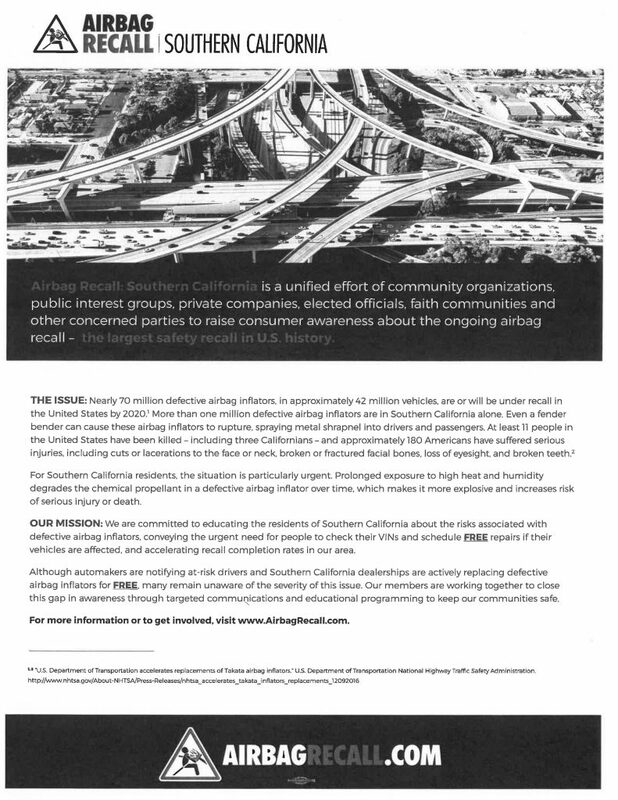 Please review the following materials and take action if applicable, and inform others about this potentially dangerous development. 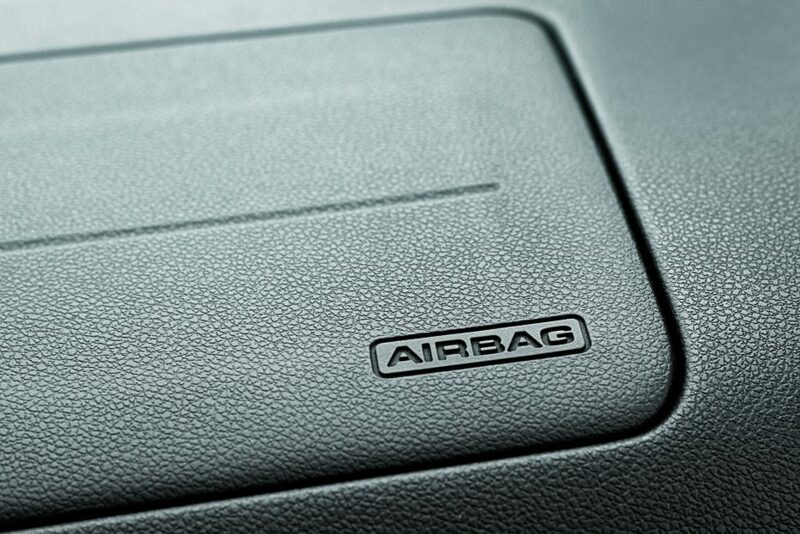 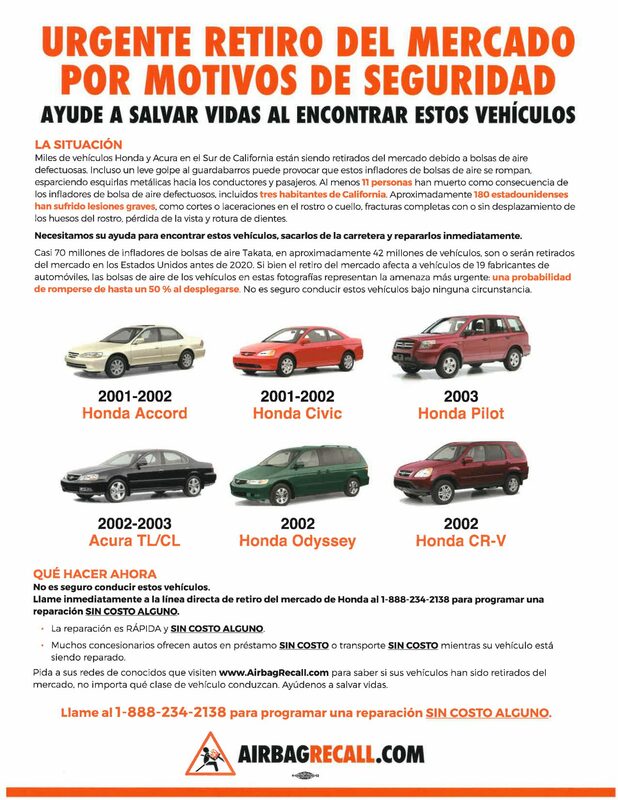 Please visit www.airbagrecall.com to learn if your vehicle has been recalled, whether it is listed below or not.